You are here: Home / Blog / Why do we say yes when we mean No? Why do we say yes when we mean No? 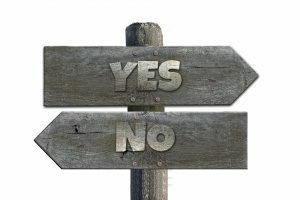 You know the situation: someone asks us to do something and immediately No resounds powerfully in our gut – but surprisingly out of our mouth comes a tentative ‘yes’ or ‘I’ll try’. We end up disgusted with ourselves – muttering under our breath of how unjust it is and how we don’t have time or…. We spend hours trying how to figure out how to get out of the commitment. We can speak to lots of people about how terrible the person was who was asking us to do something that we had no time or resources for and yet…. 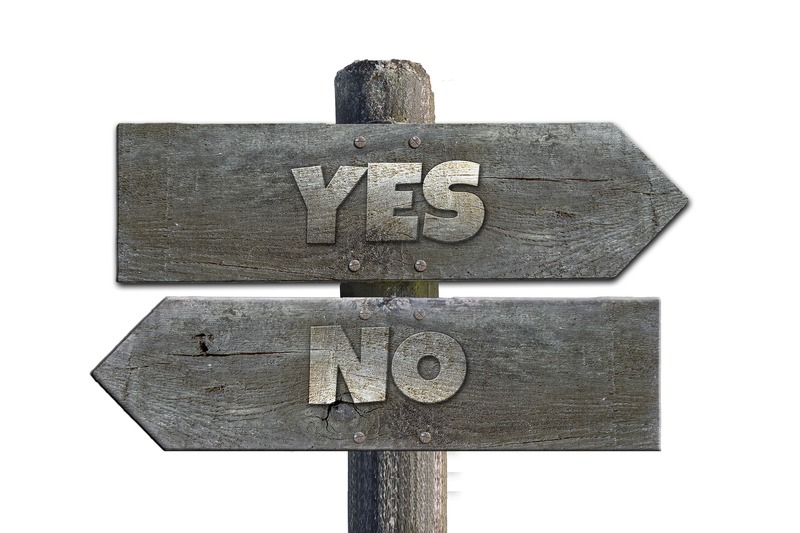 There is a niggling feeling that it really was up to us to say no – wasn’t it? Fear of loss of friendship, loss of position, loss of trust etc. We are upset at ourselves and the other person. We feel put-upon, used or abused. We spend a long time in conversation with ourselves and justify the feeling of victimisation we are experiencing. But of course it is not up to the other person – they merely asked us a question. I learned this from a wonderful teacher of mine, Brian McGeough and it has been extremely useful in my life! The answer will come instantly; they need to hear ‘no’ but each person will need to hear this in a unique way e.g. Or a third will need to hear ‘No, but please ask me again if you are in need of help as I am just too busy this time’. The effect on us of speaking truthfully and clearly is that our confidence will grow and people will trust what we say. There will be no behind the scenes talking and we will be more respected. http://www.psychotherapycouncil.ie/wp-content/uploads/2017/11/ICP-Logo-1-204x300.png 0 0 admin http://www.psychotherapycouncil.ie/wp-content/uploads/2017/11/ICP-Logo-1-204x300.png admin2018-01-29 11:55:072018-01-29 12:01:11Why do we say yes when we mean No?